Matrix NEW Style Link Heat Buffer replaces Design Pulse Iron In Thermal Styling Mist. 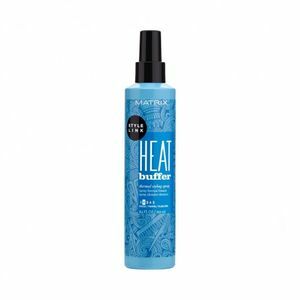 Heat Buffer even more heat protection for your hair from heat styling, up to temperatures of 450F, which is the top temp for most stylers and straighteners. It's lightweight formula gives long lasting smoothness and gives your hair a soft, shiny finish. Can be used with Style Link Smooth Setter for long lasting protection against humidity. Directions: Mist over damp hair, comb through for even distribution. Avoid contact with eyes.